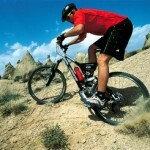 After breakfast today we ride to Ortahisar via Uzengi Stream. 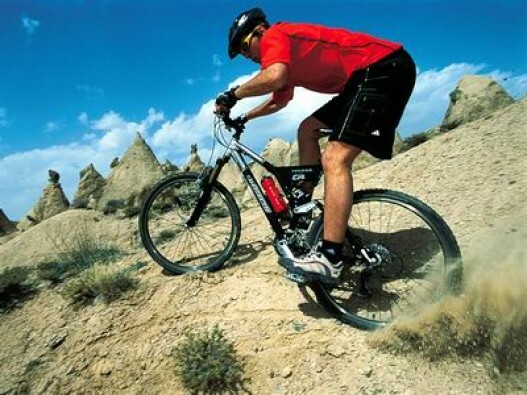 After a short village tour and having lunch, we ride back to Urgup via vineyards and on arrival to Urgup; we bike to Urgup fortress to have the panoramic view of the town.This is a 20 km ride with 90% off road. 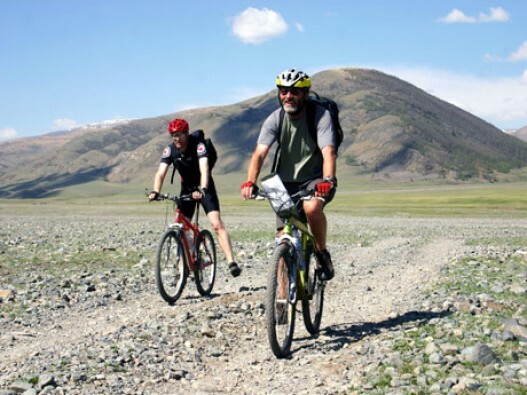 After breakfast today we cycle through Damsa stream to Sarihan Caravanserai and then through Red River to Avanos. After a lunch break in Avanos we head Cavusin village and then Love Valley. We end our day in Uchisar after biking up the pleasant hill from Love Valley. This is a 40 km ride with 90% off road. This is a 55 km ride with 70% off road. After breakfast, we are transferred to Soganli, from where we start riding to Derinkuyu via Orhanli village. After visiting the underground city of Derinkuyu and having lunch at a local restaurant, we keep cycling to Komurcu village via Kiledere and Yazihoyuk villages. 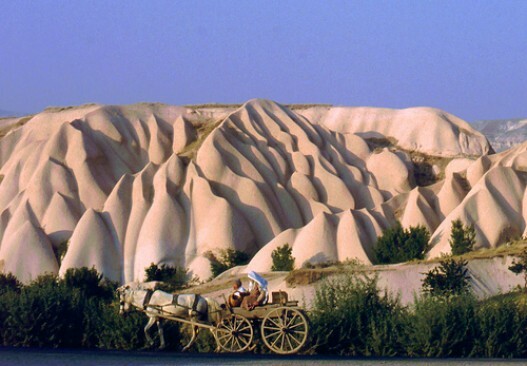 Today’s ride finishes in Komurcu, where we rendezvous with our vehicle, and transfer to Guzelyurt. Dinner and overnight at a boutique hotel in Guzelyurt. This is a 60 km ride with 85% off road. Today we have a good breakfast and we are transferred to Komurcu village and start biking to Baglama from the main road, and then we take the nice smooth off road to Haciabdullah. From Haciabdullah, we cycle up to Cinarli village which is at the top of a small mountain. It is a 9 km uphill. After this village, we cycle down to Azatli and then Ciftlik. We have lunch at a local restaurant in Ciftlik. After lunch, we cycle to Guzelyurt via Cardak and Sivrihisar. This is a 50 km ride with 80% off road. 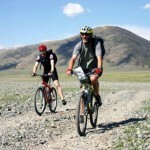 We have a great breakfast and we cycle to Selime via Alanyurt. Selime is the village where we go in to Ihlara canyon. We cycle to Belisirma (a smart village in the middle of the valley) and have lunch there. After lunch we hike or bike in the second part of the canyon up to Ihlara village. For those who want to walk, we can take their bikes on the supporting vehicle. After Ihlara we have a 35 km ride to Ulukisla. This ride is going over Kucuk Hasan Mountain from a passage. We do a long uphill ride about 20-22 km and then a serious downhill. The beginning of the uphill is soft but when we get close to the mountain it is more challenging. We are picked up with two vehicles (one for the bikes and one for us) in Ulukisla village and transferred to Urgup. This is a 65 km ride with 95% off road. 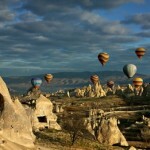 Today our last day, after breakfast we ride towards the most popular sites of Cappadocia. 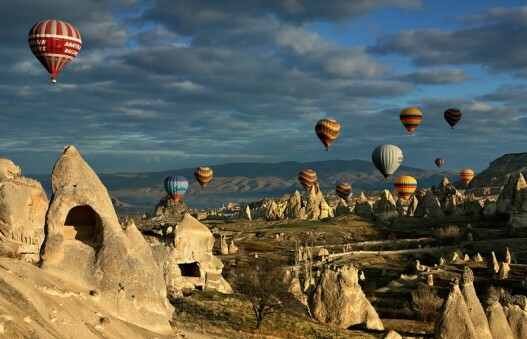 We first ride through Pancarlik to Ortahisar and then to the famous Goreme Open Air Museum, to visit its rock-cut churches. Riding through Rose Valley leads us to Cavusin. After riding through the streets of Cavusin we cycle to Pasabag and then Zelve. 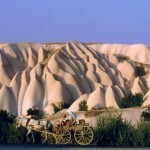 After having lunch in Zelve, we head on to Devrent Valley and then Urgup. This is a 35 km ride with 70% off road.